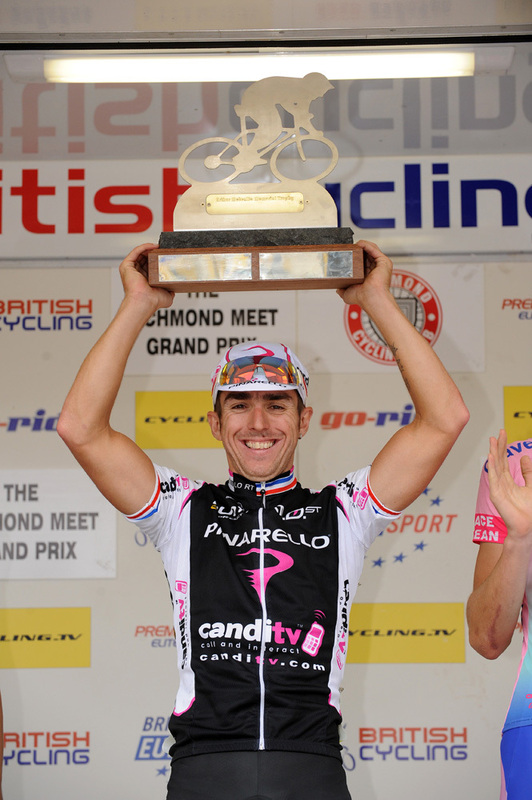 Candi TV-Pinarello ace Russell Downing secured his seventh victory in the ten-race Premier Calendar Series when he sprinted home ahead of brother Dean at the end of the Richmond Grand Prix in North Yorkshire on Sunday. Downing had already won the series with two races remaining, but his taste for victory remained undiminished and he rode the final two events as he prepares to represent Great Britain at the World Championships in Italy this week. Russell crossed the line three seconds ahead of brother Dean (Rapha Condor-Recycling) while Plowman Craven?s Simon Richardson took third, another eight seconds back. ?I?ve said it before but I?ll say it again – I never get sick of winning,? said Downing afterwards. ?It was a good hard race, and good preparation for the Worlds. ?My legs have been a bit tired because I?ve been getting in plenty of training for next week, but I still had enough left to get the win. ?It was a lot harder than last year. It went out into the dales and it got really lumpy with some hard hills on the big loop. ?It split early on and I got away with Dean and Simon Richardson, but Dean wasn?t working – just sitting on. I was driving it a bit, but nothing crazy because I didn?t want Dean having a free ride to the finish. ?He attacked on the straight and went over the top, but thankfully I had enough left to haul him in.? For Russell Downing it was the perfect preparation for next Sunday’s World Championship road race, where he will be part of Great Britain’s six-man team along with Steve Cummings, David Millar, Chris Froome, Ian Stannard and Geraint Thomas. No rider has ever won seven rounds of the Premier Calendar in a single season. 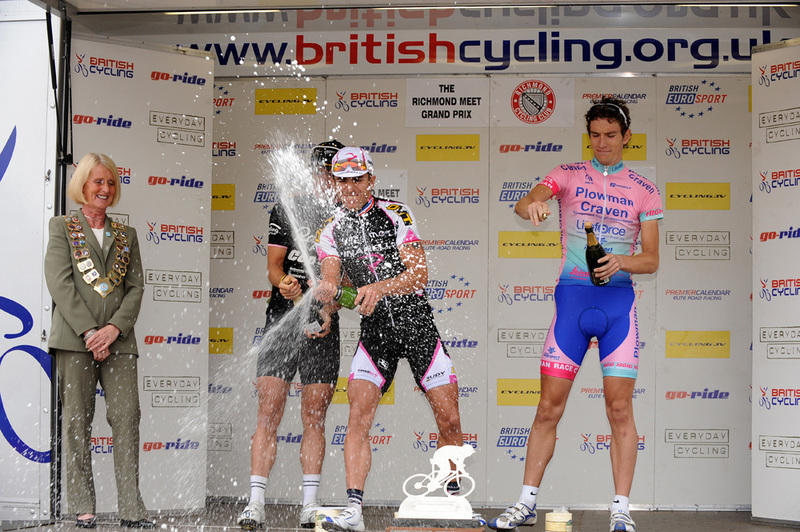 Downing has been virtually unbeatable, winning the Girvan Stage Race, the Tour of the Reservoir, the Chas Messenger, the Lincoln Grand Prix, the Tour of Blackpool, the East Yorkshire Classic and now the Richmond Grand Prix. He also won the international-ranked GP of Wales. The only Premier Calendar races to escape his grasp were the Bikeline Two-Day, won by his brother, and the Beaumont Trophy and Tour of Pendle, which were won by Rob Hayles.